The Guest House consists of two elegant twin-style farm houses. 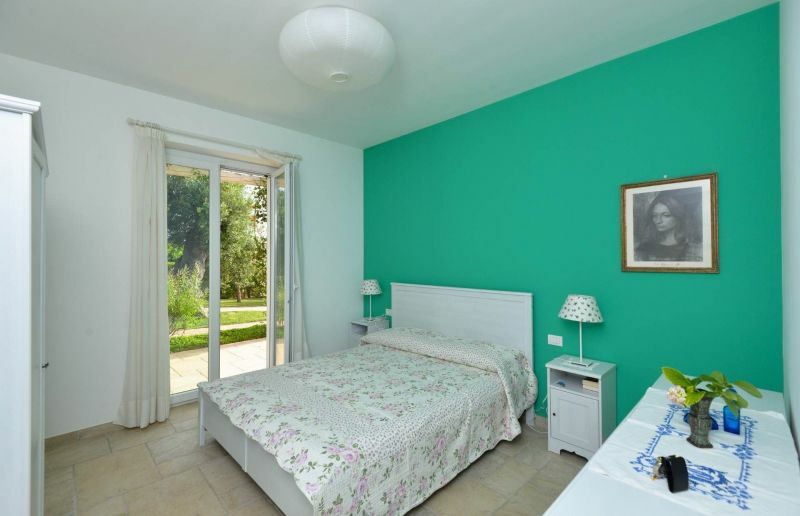 Each villa consists of the above-mentioned rooms, i.e. 2 rooms for 4 people (4 rooms and 8 people in total) newly built, separated by a patio, surrounded by a large garden. 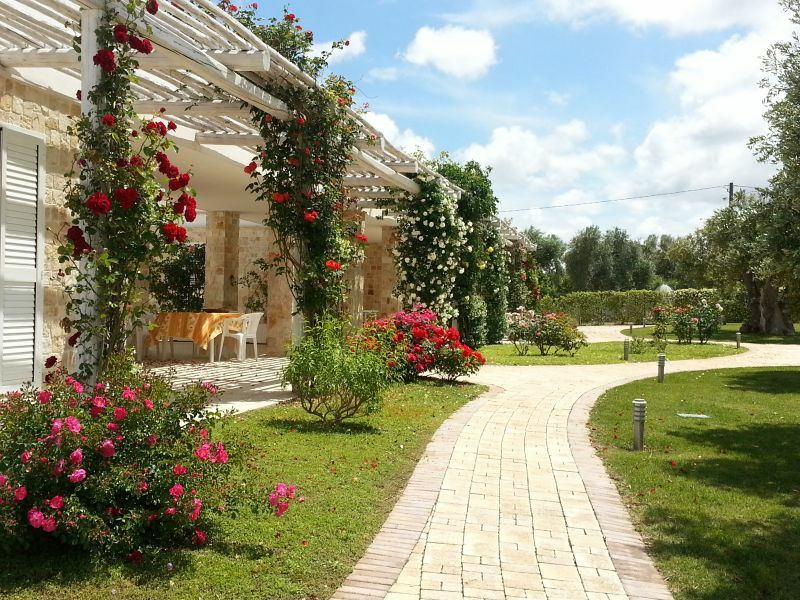 The patio and pergola are decorated with roses and jasmine, and offer a large shaded outdoor area. 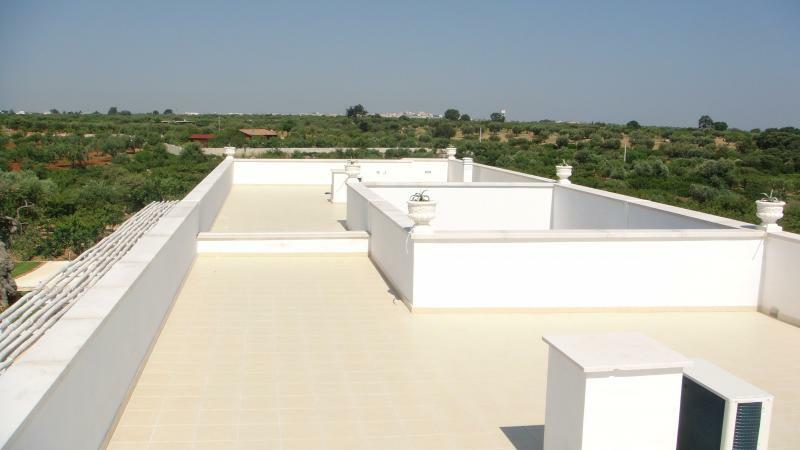 The entire surface of the two houses is covered by a huge terrace offering a splendid view. Each villa has a parking area. 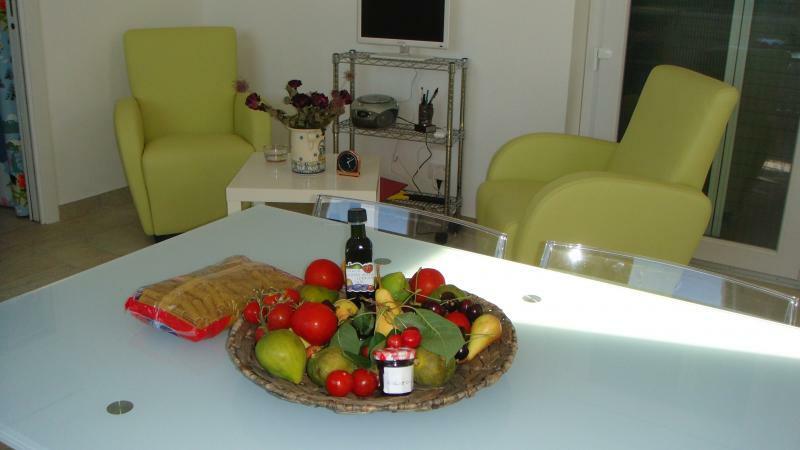 The property is surrounded by a very nice large garden with ancient olive trees, cherry trees, flowers and herbs. The garden leads to the 14×6-meter swimming pool, situated in the midst of monumental trees and surrounded by lawns and flowering plants. The pool is for the exclusive use of guests of the two houses. The pool divides the two houses in the other garden, in the center of which stands the owners' house. 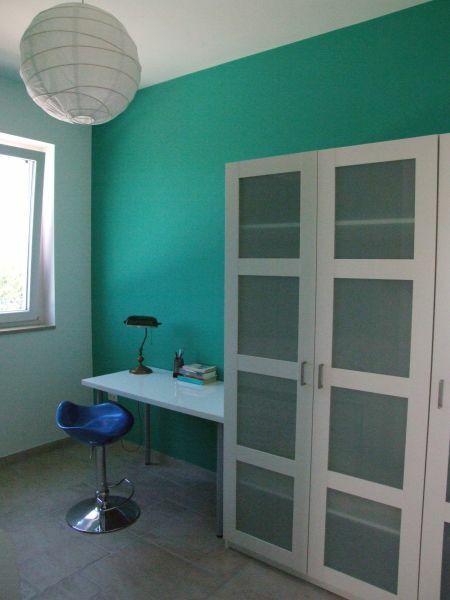 The property is located in the middle of beautiful countryside overlooking "Vignola Lakes " in the town of Conversano. 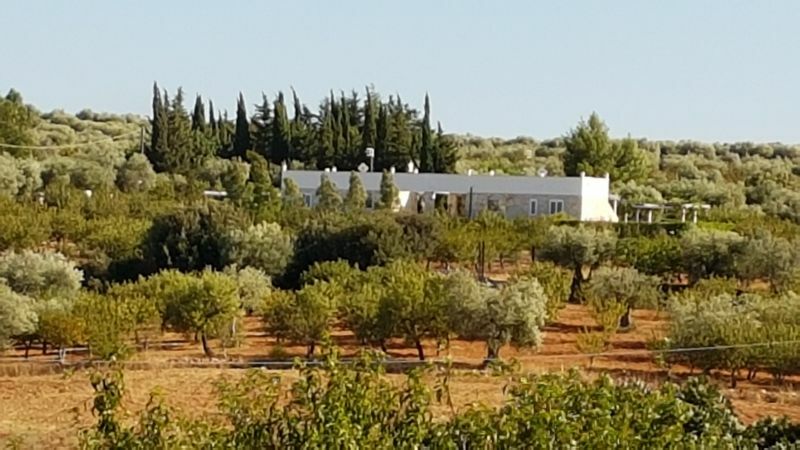 The property includes two acres of land planted with olive trees, cherry trees and fruit trees, which is accessed directly from the garden. 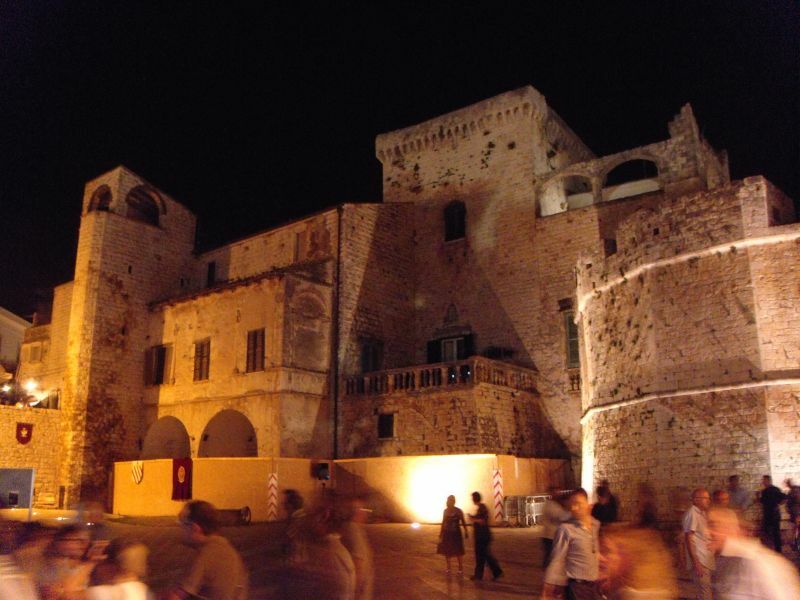 3 km away, Conversano, a city of art and culture. 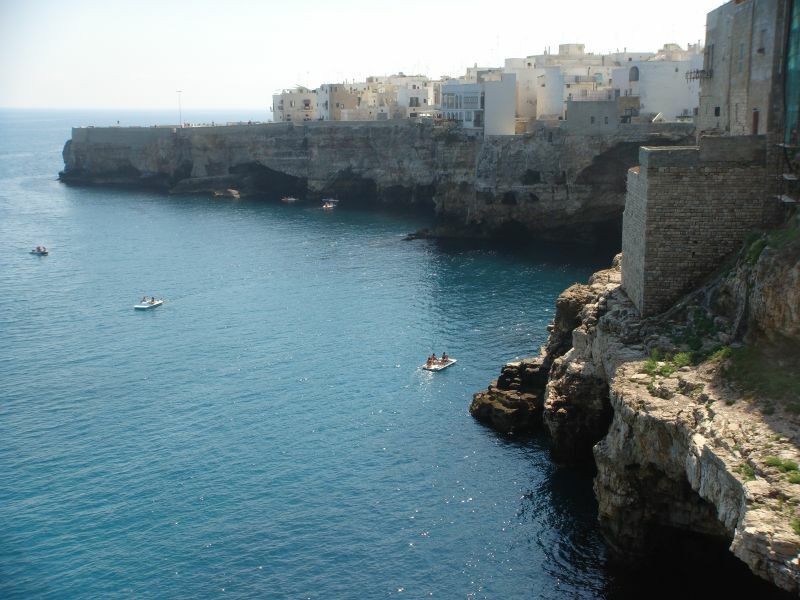 8/10 km away, beaches, Chapter Ignazia Tower and the cliffs of Polignano and Monopoli, with sites rich in art and traditions. 5 km away, the famous caves of Castellana. 20 km away, Fasano Zoo Safari. 25 km away, Alberobello Trulli, the capital recognized as patrimomio dell'Umanita. 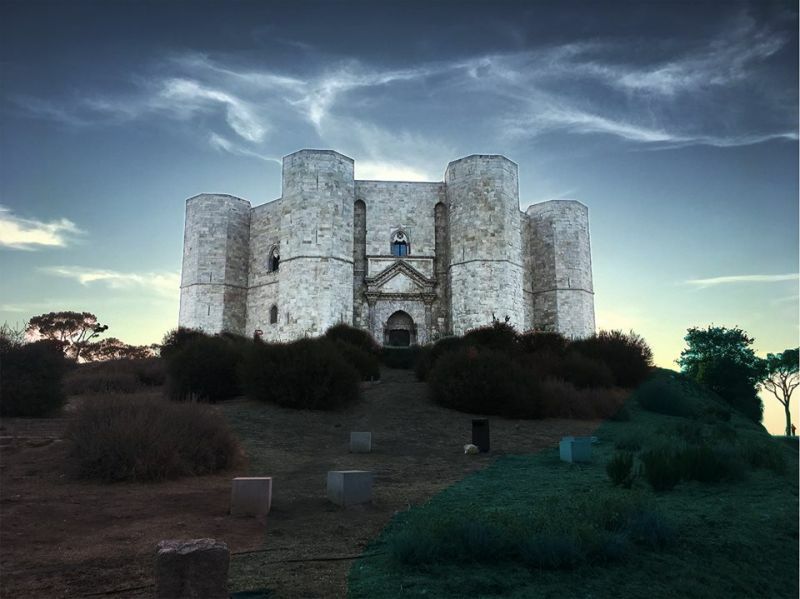 35 km away, Ostuni. 35 km away, Bari. 70 km away, Brindisi. 160 km away, Lecce. 2 golf courses within 25 minutes. By plane: Bari airport (45 min) and Brindisi (60 min) by train to Bari with Trenitalia and Conversano with South Eastern Railway by car: 16 SS from Bari to Brindisi, exit Polignano / Coversano then 7 miles to destination Latid. N 40 57 '21 "Long. E 17 9' 59 "
Nous avons bien lu votre commentaire et vous en remercions beaucoup. Votre spontanéité nous a vraiment touchés! Nous aussi gardons un très beau souvenirs de votre visits: la joie et ... la voix des enfants surtout nous ont manqué. C'est pour nous un grand plaisir de savoir que nos hôtes ont bien profité de leur séjour chez nous, maize surtout qu'ils ont apprécié la simplicité et la spontanéité de notre accueil. Revenez nous voir! Nous avons bien lu votre commentaire et vous en remercions beaucoup. Votre spontanéité nous a vraiment touchés! Nous aussi gardons un très beau souvenir de votre visite : la joie et … la voix des enfants surtout nous ont manqué. C’est pour nous un grand plaisir de savoir que nos hôtes ont bien profité de leur séjour chez nous, mais surtout qu’ils ont apprécié la simplicité et la spontanéité de notre accueil. Revenez nous voir! Our second time here, we once again loved our stay. The accommodation, gardens and pool are fantastic. Everything is delightful and the hospitality is superb. We would strongly recommend this property. 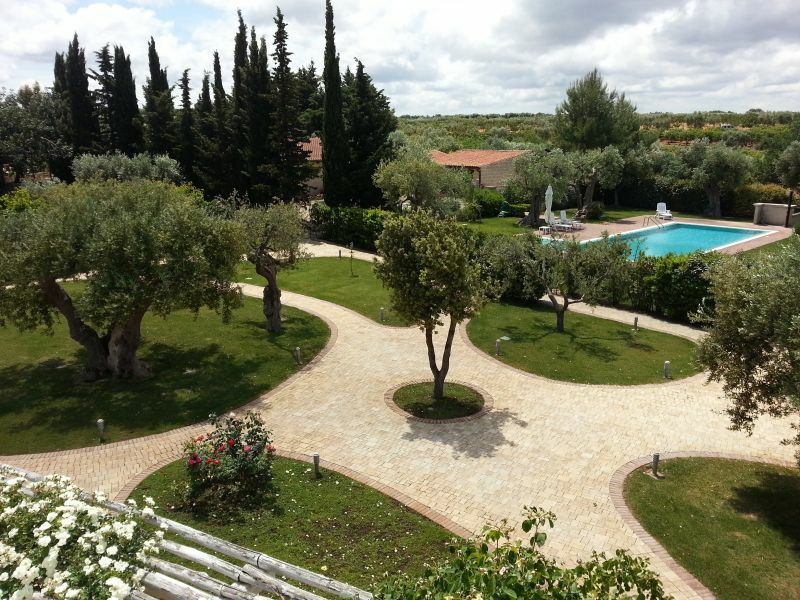 An oasis of peace and tranquility in the midst of olive groves and cherry trees. Great availability and kindness, interesting interior, great food and accommodation pleasant and cool even in the full sun. I highly recommend this solution for those seeking tranquility, peace and refinement. Un'oasi di pace e tranquillità in mezzo ad uliveti e ciliegi. Grande disponibilità e gentilezza dei proprietari, interessante entroterra, ottimo cibo e un alloggio gradevole e fresco anche nelle giornate di pieno sole. Consiglio vivamente questa soluzione per chi cerca tranquillità, pace e raffinatezza. Excellent Vacation House: beautiful, modern, quiet, nicely decorated. Lovely owners, discreet and helpful. A holiday (and house) not to be missed! 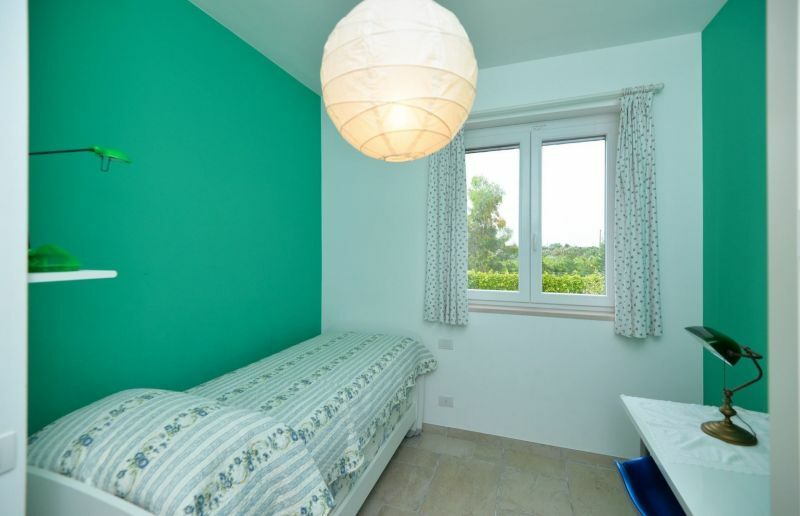 Casa vacanza eccellente: bella e moderna, tranquilla, ben arredata. Proprietari gentilissimi, discreti e servizievoli. Una vacanza (e casa) da non perdere! Beautiful place, very clean and tastefully furnished. Clean pool where each has its space and comfort. Equipment as described in the ad. Immaculate condition. Everything is new. 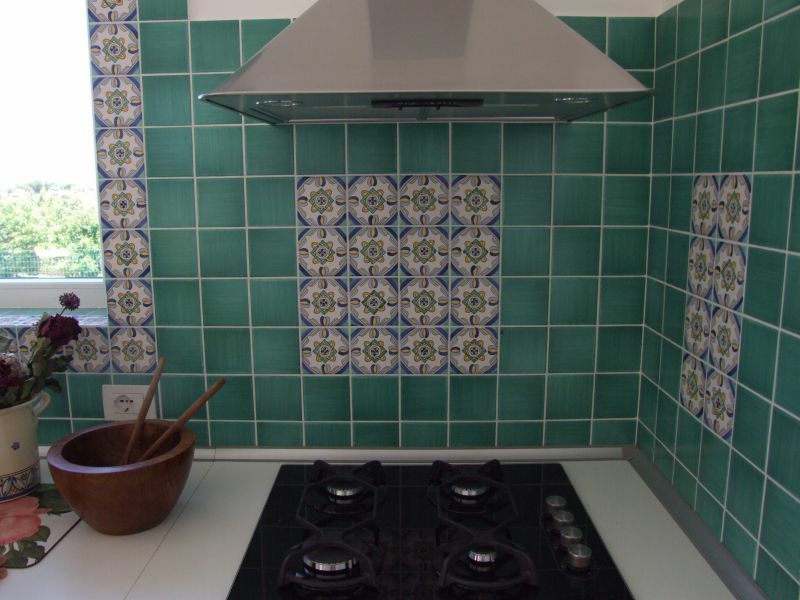 Unlike other houses that we rented previously, it is even more beautiful in reality. The distance from the east coast all at reasonable. Owners of kindness to none and very discreet. 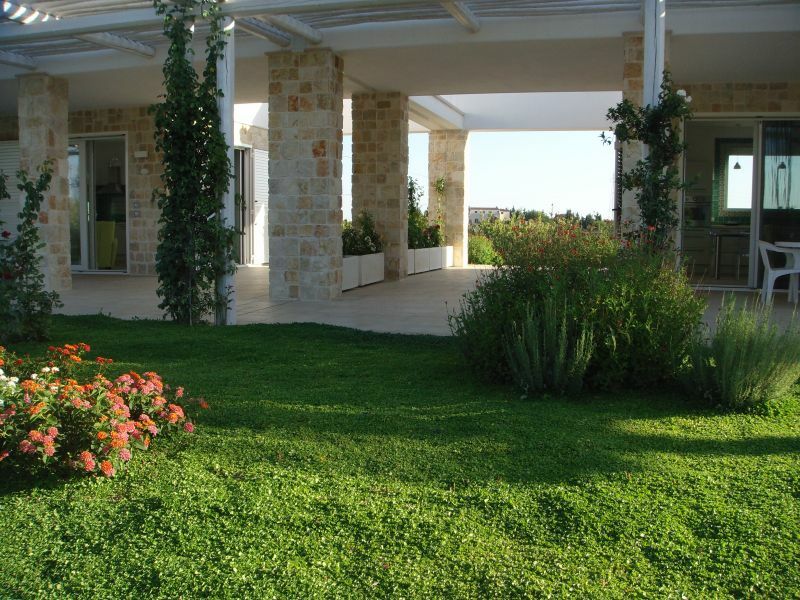 A haven of peace in the midst of olive trees where you can truly relax and enjoy the tranquility of the place. Definitely recommended! Endroit magnifique, très propre et aménagé avec gout. Piscine très propre où chacun dispose de son espace et de son confort. Equipement tel que décrit dans l'annonce. État impeccable. Tout est nouveau. Contrairement à d'autres gites que nous avons loué précédemment, celui-ci est encore plus beau dans la réalité. La distance de la côte est tout-à-fait raisonnable. Propriétaires d'une amabilité sans pareil et très discrets. Un havre de paix au milieu des oliviers centenaires où l'on peut vraiment se reposer et profiter de la quiétude des lieux. A recommander sans hésitation ! 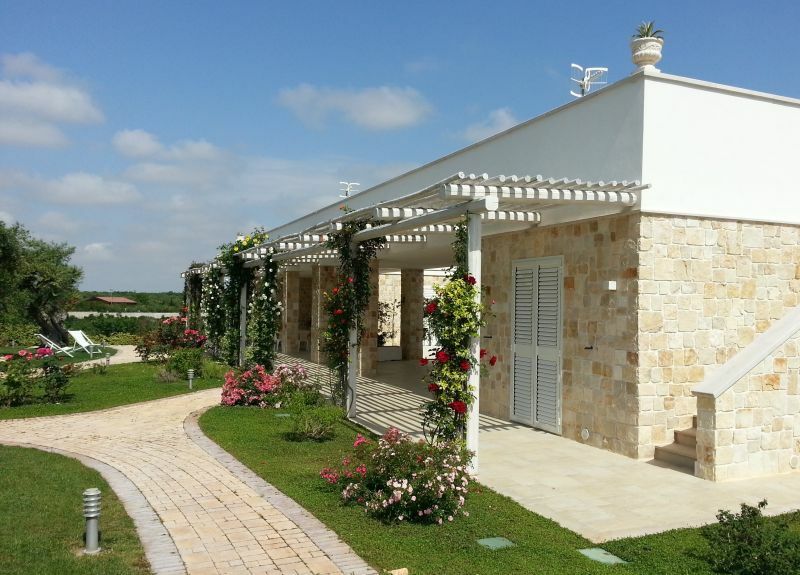 I looked through hundreds of offers of apartments in Puglia, and this house was the best choice! Top reasons: 1. 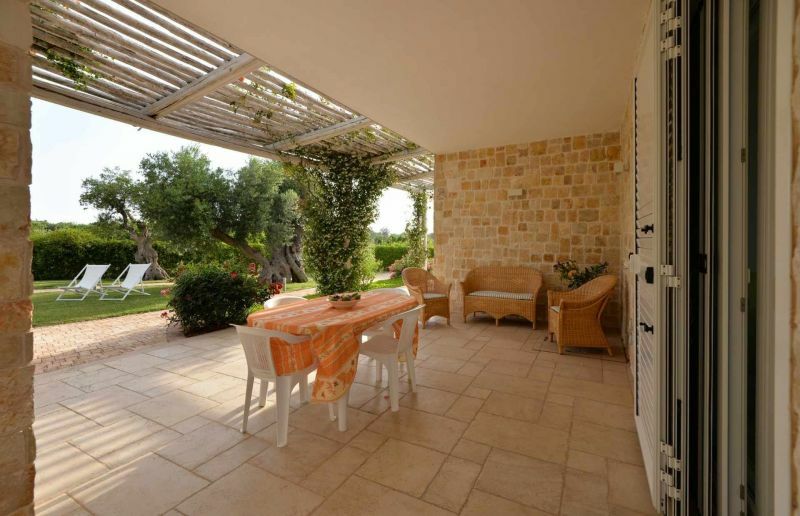 Tranquillity: the house is in the middle of a vast olive garden, surrounded by many other olive and cherry gardens. No street noise, no neighbours. 2. High standards: the house itself and the inter ion (furnitures, equipments, etc) are all very high standards (not the usual second hand stuff to be rented but brand new). The house was built with special isolation so we did not need to use the air condition at all, it was always cool inside. 3. Owners: a lovely couple from Florence who spend their summers in Puglia. They are very welcoming, we were invited to dinner the first evening to get to know to each other. They live on the same premises: they were available whenever we needed something, but at the same time they fully respected our privacy. Luciano speaks very good English and Rosalia is fluent in French. 4. Pool: larger than normal, very clean, nice surroundings, heated. 5. Place: beside being totally quiet, several towns and the sea are within 5-10 min drive with everything you need. Also thanks to be situated among olive gardens and on the top of a small hill, the temperature was always 3-5 degrees cooler than in towns or at the sea. 6. For our annual Italian holidays we normally rent an apartment. This apartment was one of the best we've rented in 14 years in Italy. Thank you for the kind hospitality! Great rental at all points of view. Comfortable, modern, quiet, very nice pool, advantageous location for visiting the sights of the region. Nothing has failed our happiness with bonus correction, hospitality and unbeatable availability from Luciano and Rosalia, happy and friendly owners. Formidable location à tous points de vue. Confortable, moderne, calme, piscine très agréable, situation géographique avantageuse pour visiter les curiosités de la région. Rien n'a manqué à notre bonheur avec en prime une correction, un accueil et une disponibilité irréprochables de la part de Luciano et Rosalia, les heureux et sympathiques propriétaires. Thanks to the gracious hospitality of Mr. Parolai and the pretty picture of the site, we passed some beautiful and tranquillissime holidays. I recommend everyone a ride "Leralora ", you will fall under the charm of the olive trees, cherry trees and jams .... excellent hostess! Grazie alla gentilissima ospitalità dei sigg. Parolai e all'incantevole quadro del sito, abbiamo passato delle bellissime e tranquillissime vacanze. Raccomando a tutti un passaggio a "Leralora", cadrete sotto lo charme degli ulivi, dei ciliegi e....delle eccellenti marmellate della padrona di casa! Although my comment to be late, I can only recommend this property not only, of course, to the sumptuous surroundings, but also (and if the frame is gorgeous as is the remarkable work of development achieved by the host ), the quality of the warm, always renewed availability and discretion of the hosts. I said that this property was in the name of Madame Charras I accompanied on this trip. Bien que mon commentaire soit tardif, je ne peux que recommander cette location: non seulement, bien entendu, pour le cadre somptueux, mais aussi (et si le cadre est somptueux c'est aussi du au remarquable travail d'aménagement réalisé par les hôtes), pour la qualité de l'accueil chaleureux, la disponibilité toujours renouvelée et la discrétion des hôtes. Je précise que cette location était au nom de Madame Charras que j'accompagnais dans ce voyage. 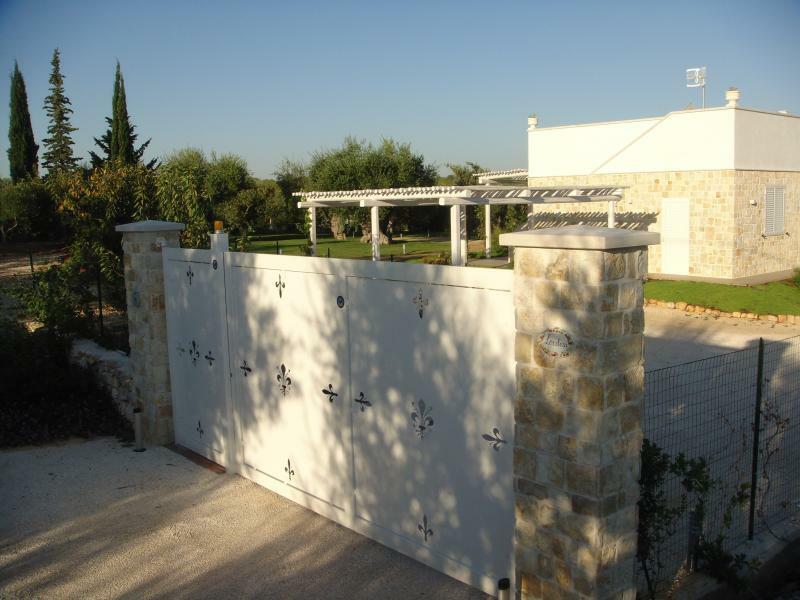 Unforgettable holiday in this very well located in the heart of Puglia villa. The charming owners Luciano and Rosalia are very caring for their guests, the daily pool maintenance and functionality of devices installed in the villa will make your stay a pleasant one. Highly recommended for a quiet holiday with family. 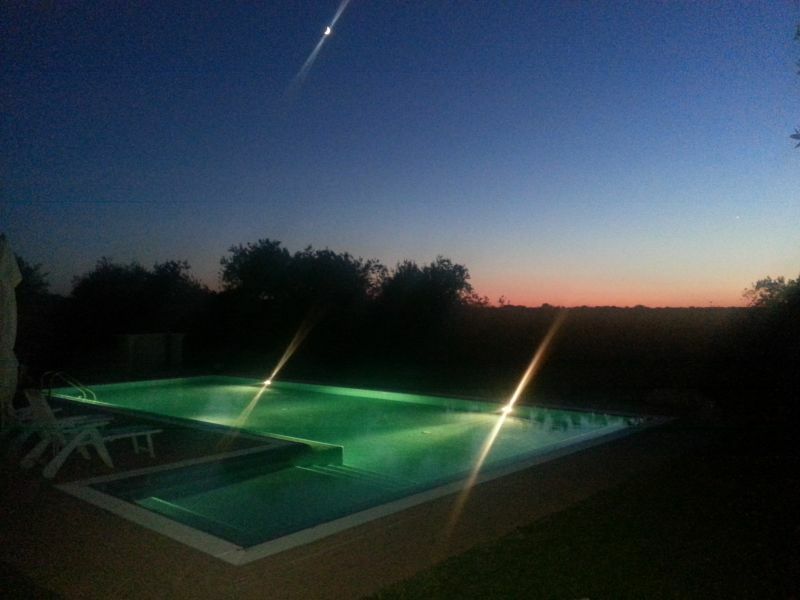 Vacances inoubliables, dans cette villa très bien située au cœur des Pouilles. Les charmants propriétaires Luciano et Rosalia sont aux petits soins pour leurs hôtes, l'entretien journalier de la piscine ainsi que la fonctionnalité des dispositifs installés dans la villa feront de votre séjour un agréable moment. Vivement conseillé pour des vacances au calme en famille. "Leralora " is a beautiful place for a wonderful stay. 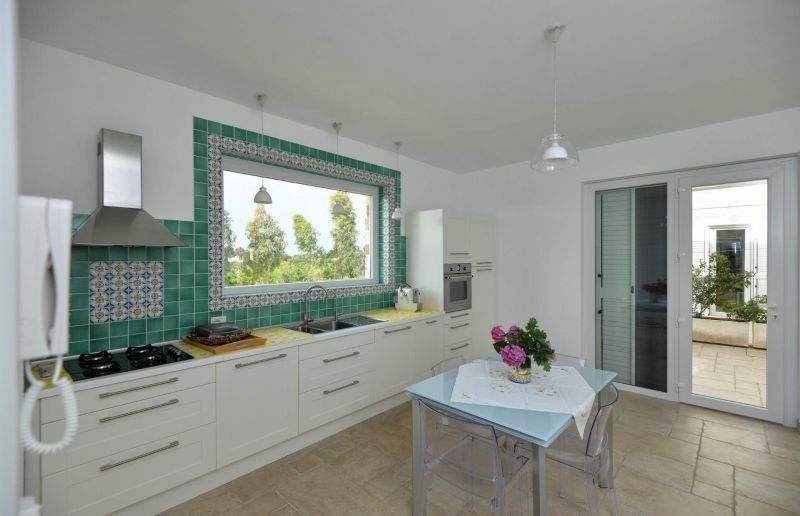 It is located close to the sea and beautiful cities, such as Trani, Bari, Ostuni and Alberobello The. 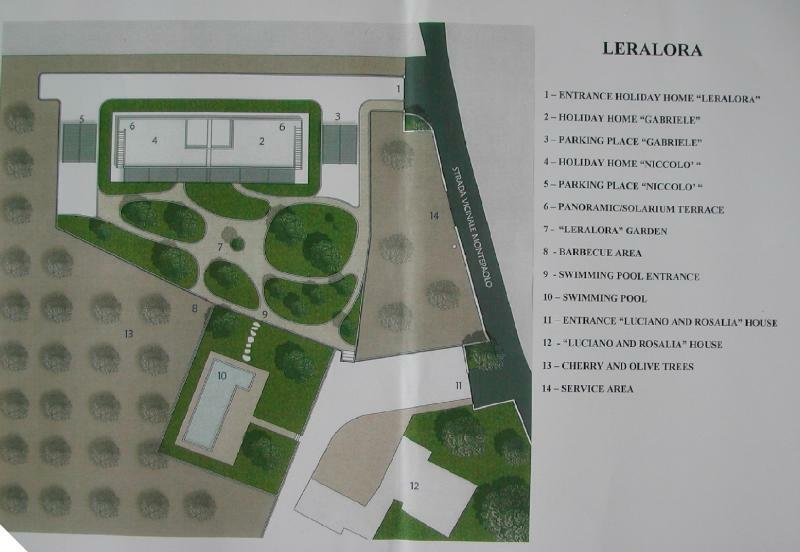 The houses of "Leralora " are located in the middle of a large garden with beautiful and old olive trees. Next to the garden there is a large swimming pool. 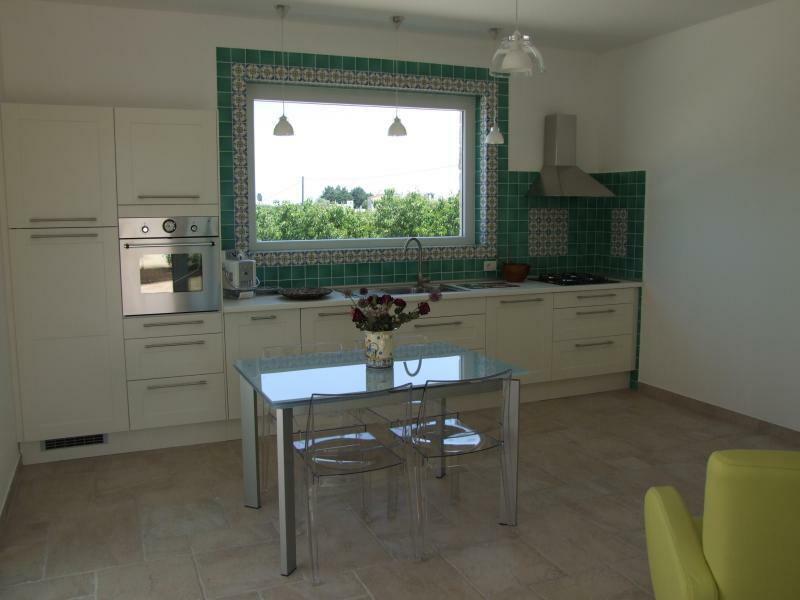 The modern villas are decorated in a modern style and are tyred of everything. The houses have a spacious patio and terrace. The owners are very friendly and accogglienti. In short, a magnificent site for a pleasant holiday. "Leralora" é un bellissimo posto per uno splendido soggiorno. Si trova vicino al mare ed alle città meravigliose, come Trani, Bari, Ostuni e L'Alberobello. Le case di "Leralora" sono situate nel mezzo di un gran giardino con bellissimi e vecchi olivi. Accanto al giardino si trova la grande piscina. Le ville moderne sono arredate in stile moderno e sono proviste di tutto. Le case hanno un patio spazioso e una terrazza. I proprietari sono molto accogglienti e gentili. Insomma: un sito magnifico per una vacanza gradevole. Luxury villa surrounded by olive trees. Very pleasant and quiet. Stunning infinity pool. Adorable and very considerate owners speaking French very well. Site at the 5 'or 10' bustling cities. Ideal place for a great holiday. Villa de luxe au milieu d'oliviers centenaires. Cadre très agréable et calme. Piscine à débordement superbe. Propriétaires adorables et très prévenants parlant très bien le français. Site à 5' ou 10' de villes animées. Lieu idéal pour des vacances réussies. Very nice house. Beautiful place. 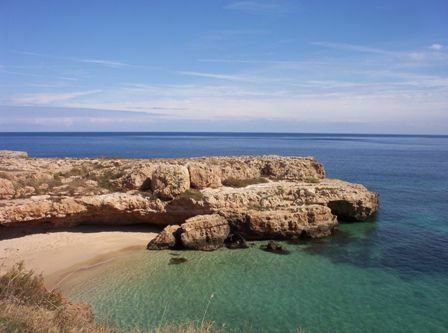 Great location to go to the sea and to visit Puglia. Very useful for the pool when it's hot. Every comfort in the house! The owners were really friendly and welcoming. Recommended! Bellissima casa. Bellissimo posto. Ottima posizione per andare sia al mare che a visitare la Puglia. Utilissima la piscina per quando fa caldo. Ogni comfort nella casa! I proprietari sono stati davvero gentili e accoglienti. Da consigliare! THE PRICE IS FOR TWO PERSONS. FOR EACH ADDITIONAL PERSON (TOTAL MAX 4) ADD €100 PER PERSON. CHILDREN OVER 7 YEARS ARE WELCOME. If the family(ies) rent both villas, it will be our pleasure to host children of all ages. Prices include electricity, water, gas and final cleaning. ARRIVALS ON SATURDAY AFTER 3 P.M. AND DEPARTURE ON SATURDAYS BEFORE 10 A.M.